Samsung has released a new Android tablet. The Galaxy Tab A 10.5 comes with enhanced audio technology and family-friendly entertainment features. 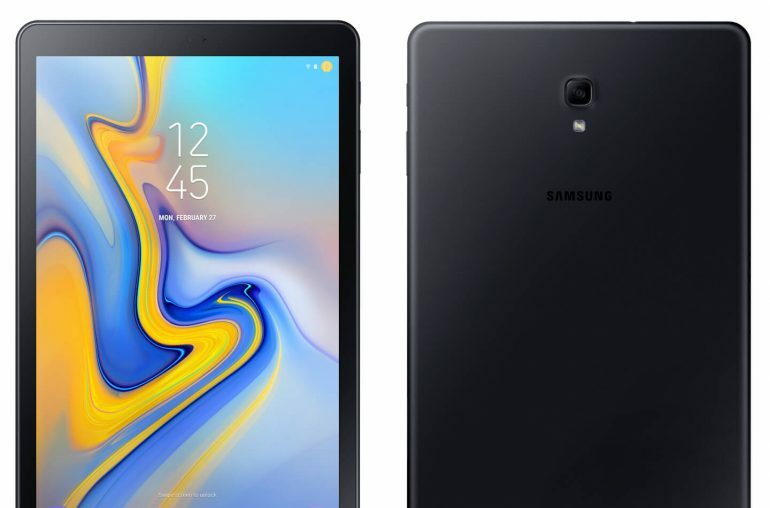 Samsung Electronics introduced the Galaxy Tab A 10.5″, a new tablet that keeps you and the family entertained while at home or on the go. 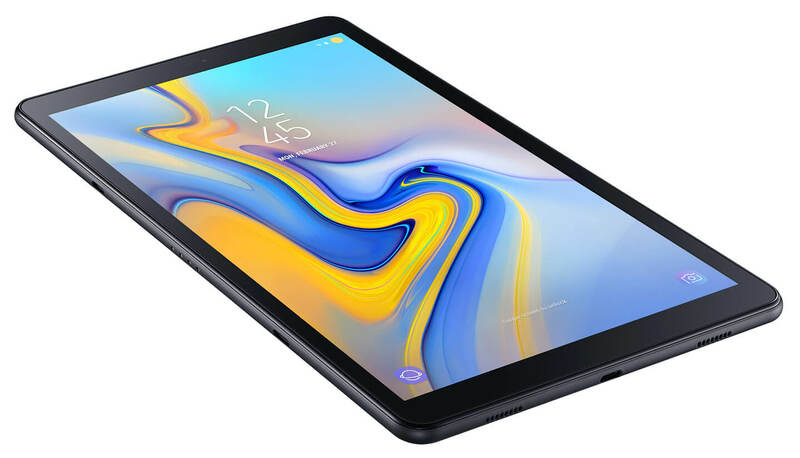 Featuring new family-friendly entertainment options and enhanced audio and visual features, the Galaxy Tab A 10.5″ is ideal for enjoying your favorite movies or shows at any time. Whether you’re lounging on the couch or enjoying a long drive with your family, the Samsung Galaxy Tab A 10.5″ can keep you and your children entertained for hours. And with added connectivity features like Samsung’s SmartThings, managing your home has never been easier. With the Galaxy Tab A 2018 model, friends and family can watch movies, play games, listen to music or browse content together on a 10.5-inch display featuring a generous 16:10 screen-to-body ratio thanks to its slimmer bezels. Four speakers are built into each corner of the tablet with support from Dolby Atmos, which transforms your mobile entertainment experience with moving audio that flows all around you. 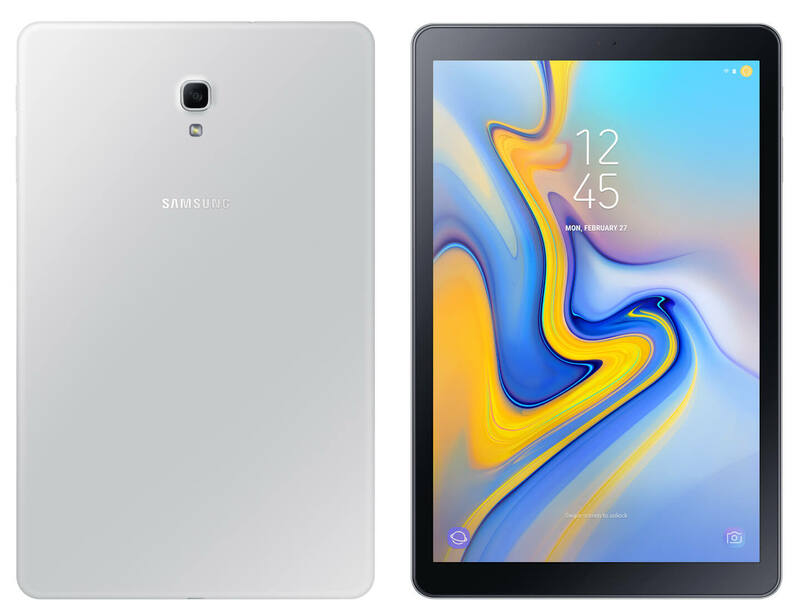 The Samsung Galaxy Tab A 10.5″ also gives parents the control to manage content and usage time with Kids Mode, Samsung’s child-friendly tablet interface designed to make learning and entertainment simple, safe and fun. 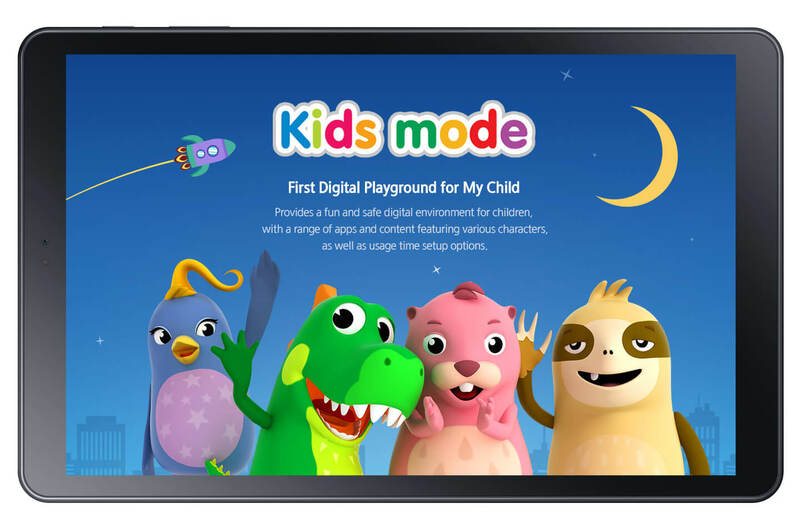 This mode features Kids Browser, Galaxy Apps for Kids and eight free child-friendly apps from family favorite brands including Toca Hair Salon 3 and BRIO World Railway. Families can also use Multi User Mode on the Galaxy Tab A to create various accounts on the same device, such as one account for a child and separate accounts for the parents. Managing the family and home has never been easier with the 10.5″ Samsung Galaxy Tab A through enhanced connectivity features. Samsung’s Always On Daily Board brings integral daily information to one easy-to-view home hub including a clock, calendar and weather updates as well as a digital photo library. And users can easily control their home environment from their family-friendly tablet with SmartThings on the new Galaxy Tab A. Control your connected home appliances via SmartThings with the touch of a button. Whether you’re getting the kids ready for bed or need to turn up the heat during a rainy day, smart home controls make it easy to manage your connected home.